Let’s face it, as a traveler you’re always at risk of being a victim of theft. And that’s the last thing you want when enjoying a trip. One of the top ways to protect yourself (and your belongings) is to travel with one of the best anti theft backpacks out there. Have you ever spent the day touring a foreign city, or your own for that matter, only to get home and find some or all of your belongings missing? Not only is this personal violation frustrating, it can be expensive, depending on what the thieves got their hands on. If this has happened to you, or you want to keep it from happening to you, you may want to invest in a well designed anti theft backpack. These handy bags come in a variety of sizes, with enough carry space for everything from a few books and pens to a laptop and all your other devices to keep you connected. But they also have a variety of safety features to keep all your gear where it belongs, in the bag. These features can include locking, puncture resistant zippers, slash proof material and straps, and RFID blockers to stop those hackers from stealing your personal info, just to name a few. Plus because they look just like a normal travel backpack, they are great for travel at home or abroad, for work or play. If you are interested in one of these handy bags, be sure to read up on our anti theft backpack reviews of the top models and our tips on how to find the right one to meet your needs. 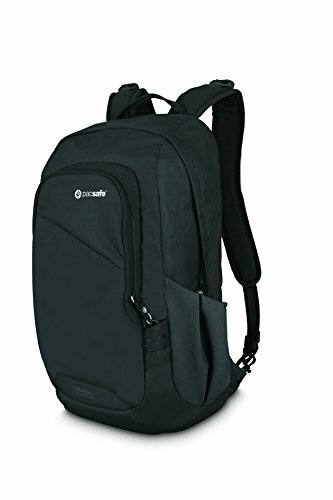 Why Travel with an Anti Theft Backpack? 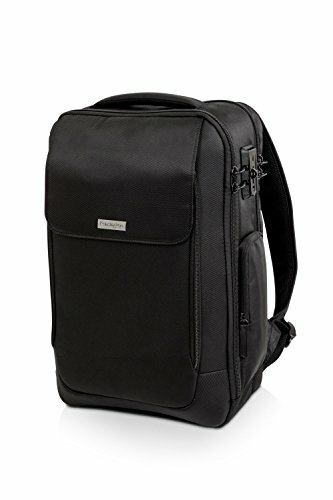 Are Anti Theft Bags Worth the Money? When it comes to safety features, this Pacsafe anti theft bag has it in abundance. The material is 100% nylon, which is durable in itself. But embedded inside is Pacsafe’s eXomesh, which stops any knife from cutting through and spilling your belongings into a thief’s waiting hands. The Carrysafe slashguard strap also won’t cut easily, so your backpack stays on your shoulders where it belongs. Other safety features include their lockable zippers on the main compartment and TurnNLock security hooks on the straps. RFIDsafe blocking material over the entire bag also keeps your cards secure no matter where you are. This secure backpack also gives you ample room to store a variety of gear. The zippered main pocket has a 25L capacity, including its inner pocket that is big enough to hold a 15-inch MacBook or another laptop of a similar size. The outer pocket has a spot for your keys, phone, pen, and any other smaller items you may need on the road. There are also two side stretch pockets for items you want close at hand, though the lack of closures makes them a bit less secure. The shoulder straps are padded and adjustable for the perfect fit. Sternum and waist straps hold your anti theft backpack for travel tight to your body, taking some of the strain off your back. The molded foam back support also adds to the comfort level. A compartment for a 3L hydration pack keeps you well-watered. The bottom line is if you’re looking for one of the most dependable anti theft travel bags out there the Pacsafe Venture Safe 25L GII Anti-Theft Backpack is a top contender. That’s why we chose it as the best anti theft travel backpack. Pacsafe’s 15L anti theft daypack is great for travel at home or abroad. It comes packed with security features to ensure your gear isn’t at risk, even in those shady areas of the globe. 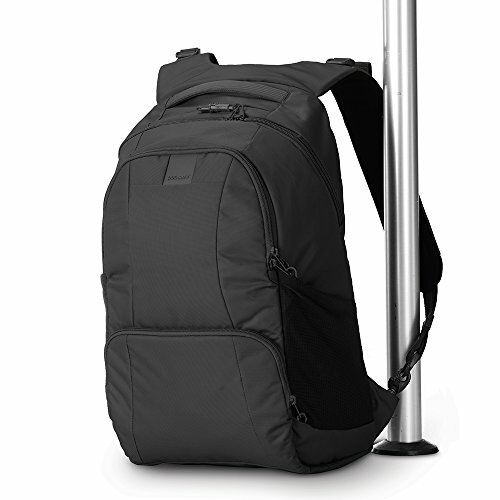 The eXomesh slashguard is a flexible stainless steel mesh that is embedded within the nylon fabric of this travel backpack. This mesh is also lightweight, so the extra security won’t strain your back while it deters those slash-and-run thieves. The Carrysafe Slashguard shoulder straps are adjustable and padded for added comfort while they keep your bag on your back. The TurnNLock security hooks allow you to attach your bag to your chair or a pole while you take a break. The zippers are also lockable for added security. RFIDsafe blocking material covers the whole bag, pockets included. As well as the safety features, this slash proof bag also has a large main compartment with an internal sleeve for a 13-inch laptop or a 3L hydration pack. There is also a large zippered outer pocket and two side pockets to keep all your small items sorted and close at hand. A sternum strap keeps your pack firmly in place and the molded foam back support holds the bag straight and comfortable against your back. This backpack is easy to use and gives you peace of mind on the road. It is also great for both men and women. If a thief can’t find their way into your pack, they won’t be able to steal your stuff. That’s the idea behind this Kopack anti theft backpack. First, it has no visible zippers or pockets. This means when you’re walking down the street, a pickpocket won’t even know where to start. That’s because the zipper for the main compartment is located near the rear of the bag, going right over the shoulder straps. It opens up to a large main compartment, which is only visible to those right in front of it. Unless they’re peeking over your shoulder, no strangers with ill-intentions will even know what you’re carrying. Inside this large compartment is a laptop sleeve that can hold devices up to 17 inches. There is also a smaller sleeve on the front of this one to hold a slimmer device, like a tablet, e-reader, or even a magazine. There are also a variety of pockets for pens, a water bottle, a phone, or anything else you might need. 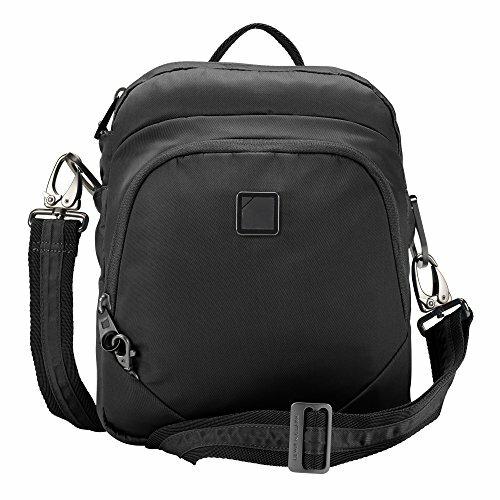 A couple of small outside pockets are located on the inside of the waist of this anti theft laptop backpack. The padded straps are adjustable and have an elastic strap to hold your sun or regular glasses when you don’t need them. Water repellent, anti-scratch material even has a padded layer for shock absorption and added protection for your more delicate items. There’s no point in keeping your belongings safe if you don’t have the room to store then all. Despite it’s slim design, this secure travel backpack from Kopack gives you multiple compartments and pockets for everything you’ll need on a day or weekend trip. Behind the adjustable, padded straps is a large pocket for a slim laptop, provided it is a max of 15.6 inches. There is also a large main compartment, with more sleeves for tablets, files, phones, or anything else you may need. Then there is another thin compartment on the front for your smaller gear, like wallets, cards, pens, or even personal hygiene products. A small zippered pocket on the front is perfect for the smallest items on your list. For security, the main and laptop compartments both have lockable zippers. The main one is also a dual anti theft zipper, which will resist anyone trying to force it open to bypass the lock. The material is durable nylon which is both tear-resistant and waterproof. Back padding adds to the comfort, making it easier to carry this theft proof bag for longer trips. A loop handle at the top gives your shoulders a break now and then. The best anti theft backpack for air travel probably won’t be the right one for outdoor activities. That’s why the Pacsafe Adventure Backpack has incorporated a few handy details to keep your trip comfortable while still protecting your gear from the weather and those troublesome thieves. The shoulder straps and stowaway hip belt both use perforated EVA foam for extra padding while still remaining breathable for comfort. There is an aluminum support in the back panel to give you the optimal load transfer to your hips, but it also has airflow channels to keep you cool while you hike. There is a built-in rain cover for those days you get caught out in wet weather. Just pull it over your pack when you need it, and then tuck it out of the way when the sun reappears. The safety features of these Pacsafe anti theft bags include their unique eXomesh slashguard mesh in the material, the Carrysafe slashguard straps, RFIDsafe blockers in the material and pockets, lockable zippers and secure zipper tabs to hold them closed. The large main compartment has a protective sleeve that can fit a 15-inch laptop or a hydration pack, and a zippered mesh pocket as well. Outside, there is a zippered front pocket, a vertical front pocket, and a quick access pocket on the top for all your smaller items. 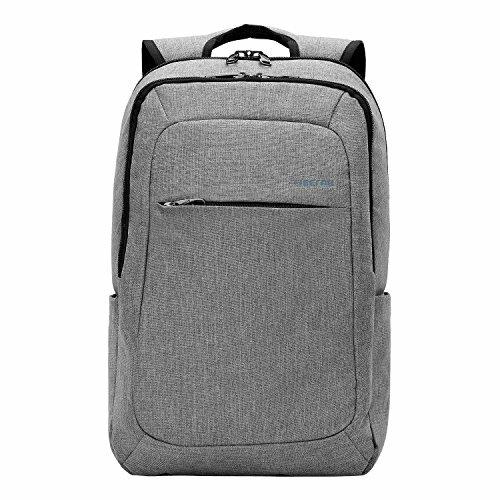 With their Venturesafe EXP45, Pacsafe has shown that the best anti theft backpack can be the perfect carry-on bag as well. This unique style uses their eXomesh slashguard stainless steel mesh inside the material to prevent slash-and-run thieves. The ToughZip technology in the zippers uses double layers to prevent punctures from those who wish to rob you. The Roobar deluxe locking zipper keeps the zippers from both compartments secure and locked closed until you need inside your pack. With a spacious main compartment, you have all the room you need for anything you want to carry to keep you entertained on a long flight. And everything will stay in place using the internal compression straps. This large compartment also opens like a book, so you’ll be able to see everything at once with very little rummaging to find what you need. A front zippered compartment has a variety of open, zippered, velcro, and mesh pockets to organize your gear, including a large sleeve for a laptop, tablet, or a few magazines to read during your travels. Padded shoulder straps, a sternum strap, and a waist belt help keep your theft proof bag secure and in place for comfortable carrying, and can stow away when you don’t need them. If you’re a photographer, you probably want a high-quality anti theft camera bag to hold your expensive gear. Like one of Pacsafe’s best anti theft backpack models, the Camsafe Z16 uses a variety of security features to keep all your equipment safe. The Carrysafe slashguard straps and eXomesh slashguard body keep your backpack intact and on your back, with everything inside where you placed it. Lockable zippers on all compartments prevent pickpockets from robbing you when your back is turned. The pockets and material are also RFID blocking, so your cards and information are safe from scanners. To keep your camera and all it’s necessary equipment safe, there is an fully padded compartment which has a modular Velcro divider to keep your gear from knocking together during your travels.There is also a front zippered pocket with internal sleeves and pockets for phones, cards, and other essentials. Adjustable shoulder straps, a stabilizer strap, and a padded carry handle gives you multiple carry options. 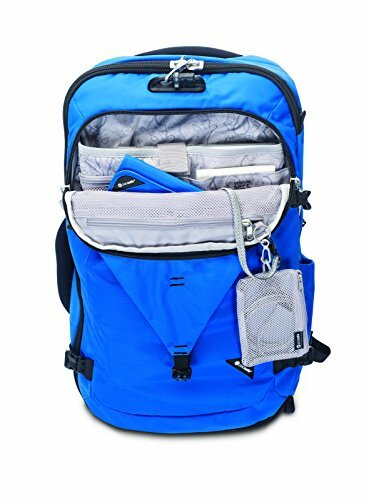 This anti theft travel backpack not only prevents thieves from picking through your bag, but also has a few features to keep you safe as well. These include a safety whistle integrated into the sternum strap buckle to attract attention in an emergency, plus reflective accents that keep you visible in low-light situations. There is also a light attachment loop so you can easily carry a flashlight for those times when you’re traveling in near or total darkness. The perforated foam back panel keeps your anti theft bag comfortable on your back. There are also contoured shoulder straps padded with perforated foam to keep your shoulders from aching during a longer trip. For gear security, there are two-way lockable zippers on every compartment. There is also a Secure-Zip Toggle closure on the front two zippers, creating a central locking point to keep them all secured together. There is a large main compartment for whatever gear you need. The pack panel opens fully, and contains two separate sleeves for laptops and tablets or e-readers. For your smaller items, there is a smaller front pocket with sleeves for phones, pens, and a RFID pocket for your ID, passport, and cards. There is also a zippered mesh pocket and a key ring to keep all your small items organized. 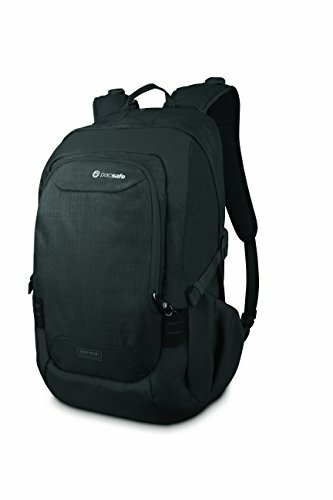 The Kensington SecureTrek anti theft backpacks come in two sizes to accomadate either a 15-inch or a 17-inch laptop. You can choose the one that best fits your computer, and still have more than enough room for a variety of other travel items. As well as the laptop sleeve, the main compartment also has a smaller sleeve for a tablet. There is also a large padded area for a change of clothing or any large items you may need for traveling. A smaller compartment also has a sleeve for books, magazines, or paperwork. There are two smaller pockets in here as well to help organize your cords and other smaller loose items. The front workstation pocket holds pens, business cards, keys, and your smartphone. There is even a small zippered pocket on the side of this travel backpack that can extend enough for a water bottle. To keep your gear secure, there is a SecureTrek Lock Base, which lets you click the zipper tabs in place. You can leave it closed on its own or add a lock when checking your bag, though the lock isn’t included. On the main compartment, there is also an anti-puncture zipper, which will resist any attempts to puncture and separate it. The padded back makes it comfortable to carry, and the pass-thru sleeve lets you slide the handle of your wheeled luggage through when you want to give your back a break. Lewis N. Clark has created 3 anti theft travel bags in 1 with their Secura model. It has a long strap, making this either a shoulder or crossbody bag. You can also loop the strap through the top carry handle to turn it into a backpack for hands-free travel. This makes the Secura the best anti theft bag in terms of versatility. But this bag is more than just its straps. There are a few security features to ensure your belongings are safe while you travel. The main one is the slash-resistant Magnaloft fabric panels found mixed in with the nylon material. Your bag will still be lightweight and flexible, but your gear will be safe from knife-wielding thieves. The adjustable straps have an internal stainless steel cable which also can’t be cut. Locking hardware on the ends allows you to secure your bag to anything, from poles to chairs, to keep snatchers from running off with your bag. Lewis N. Clark even made this bag water-resistant to keep your belongings safe in wet conditions. There is a large main compartment with ample space for books and other large items. An internal zippered pocket holds smaller items. A few cardholders are also in there for added convenience. The front compartment has a few small sleeves as well for phones and pens, plus a few RFID-protected card slots for your ID, keycards, or other scannable items you want to keep safe from hackers. Both zippers on these areas are locking for added security. The XD design Bobby anti theft backpack makes it almost impossible for a thief to take what you’re carrying. The outer material making up the Bobby anti theft bag is water-resistant fabric, but it covers layers of anti-shock foam and cut-proof PP protection board. With all these layers, no one will be able to slash through your bag and run off with your stuff. The zipper to the main compartment is hidden at the back of the bag, just over the straps. Inside this area is a sleeve for a 15-inch laptop. There are also spots for smaller items, like a wireless mouse, phones, cords, pens, and even a water bottle spot. Located at waist level is a smaller hidden pocket for items you want to be stored in an extra secure location, like cash, a wallet, or your passport. On the adjustable, padded straps is another pocket, perfect for a transportation or a debit card. 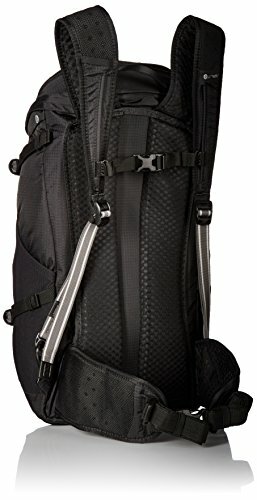 There are also a few other details that have been added to the XD Design backpack to make it as comfortable to wear as possible. The bag itself leans towards your back instead of away from it, distributing the weight of what’s inside to reduce any strain on your shoulders. The materials are also anti-sweat and air permeable to keep you cool during your travels. An integrated charge port lets you charge your device on the outside while leaving the power bank inside. Reflective bars keep you visible at night for your own safety. 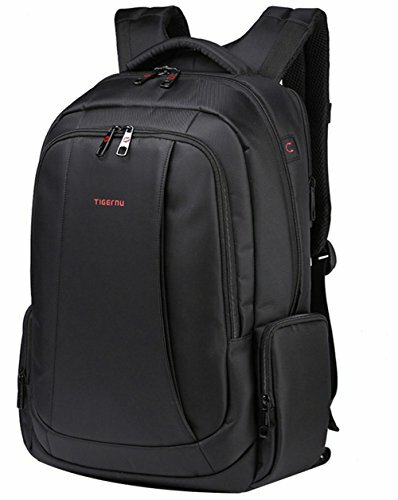 This lightweight Travelon anti theft backpack keeps your gear safe during any weekend trip away from home. The slash proof fabric uses Chain Link construction to deter those with a sharp object from cutting through the material. The straps on this Travelon anti theft bag is also slash proof, with integrated metal cords that will keep a thief from slicing it and pulling the bag right off your shoulders. The zippers on the main and front compartments are both locking, for an extra bit of security against the deft fingers of pickpockets. As well as having two sleeve pockets for a phone or notepad and a few pen slots, there is a strap with a locking ring and an LED light. There are also numerous card slots that use RFID blockers to keep your personal information secure. A roomy main compartment is wide open, giving you plenty of space for larger items. 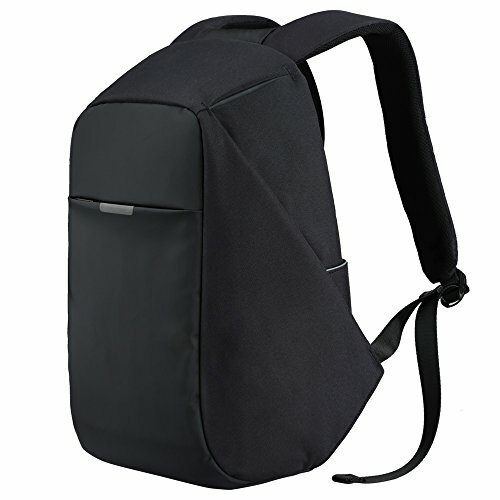 You can use this as an anti theft camera backpack, or to carry books and binders for school. There are both a zippered and a mesh pocket to keep your smaller items from mixing with the larger stuff, and a spot for a tablet or e-reader. 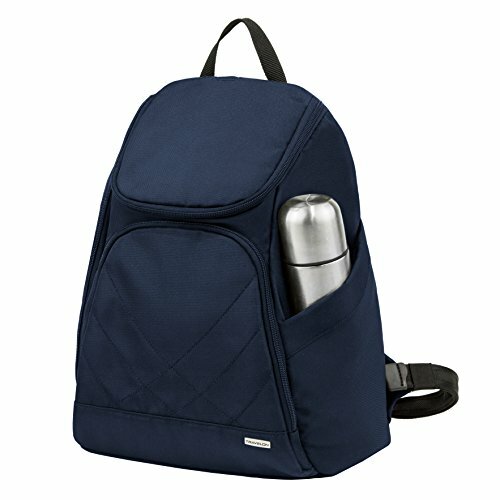 An open side pocket is perfect for a water bottle or small thermos, for both cold and hot drinks, depending on the weather and your current activity. You may not always need a bulky backpack to carry your necessary items. That’s why having an anti theft sling backpack is a great option for the minimalist in the group. The Classic Lite Sling from Travelon is compact enough for lightweight travel, but still has all the security features of a larger model. There are slash proof body panels to prevent thieves from cutting your bag while you stroll down a foreign street. The straps are also slash proof, thanks to the metal cords embedded in the fabric. Both the zippers and the straps are lockable, keeping your gear stored safely and allowing you to tether your bag to a fixed post or the back of your chair. RFID blocking card and passport slots protect you from hackers who may be trying to scan for your personal info. These Travelon anti theft bags have a large main compartment with room for your wallet, keys, makeup, and even has a sleeve for a small tablet or notepad. The front compartment can also fit a mini device or your smaller items. An expanded mesh pocket on the side of this anti theft sling bag is the perfect size for a water bottle. Best of all, the strap is reversible on the bottom, so you can hang it over your left or right shoulder, or swap between the two on longer trips where you may need to give your shoulders a break. Anti theft backpacks for traveling need to have a decent capacity, especially if you’re trip is going to last longer than an afternoon. 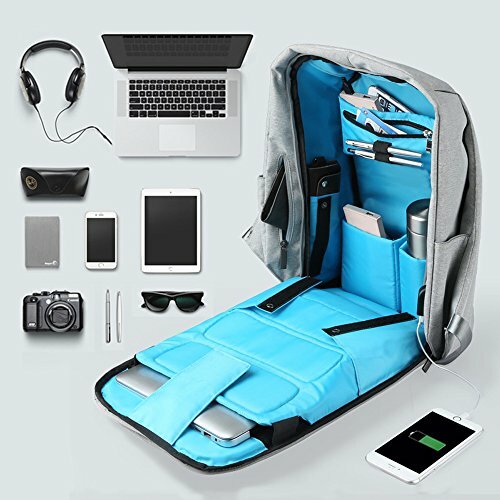 It doesn’t matter if you’re traveling by air, train, or bus, the best anti theft backpack needs to hold everything you’ll need, from necessities to entertainment. 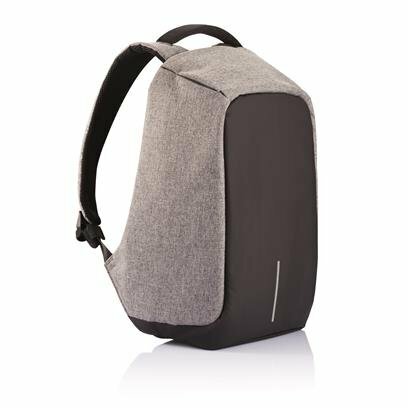 With a few larger compartments and some handy pockets, the Uoobag laptop backpack is a great option. It has one designated laptop spot with the capacity to carry a slim 15.6-inch model. A large main compartment holds books, magazines, a tablet, a wallet, or a change of clothing. Both of these compartments have lockable zippers and the main one has dual zippers to deter thieves intending to pry their way into your bag. The front compartment has spots meant for a phone, an iPod, pens, and a mesh pocket for anything else you might need. There are also a few hidden pockets, one located on the front of the bag and a zippered one on the waist at the back. There are even a couple zippered pockets on the sides. With nylon material on the outside and polyester on the inside, this bag will repel water easily, though may not be able to handle a good soaking. The material is also lightweight and breathable, adding to the comfort of using this anti theft travel bag. There’s nothing worse than having your phone or laptop battery die while traveling, especially when you don’t have access to an outlet to charge them back up again. That’s why Oscaurt has added a USB charging port to their best anti theft backpack. All you need to do is plug a fully loaded power bank into the attached cord on the inside of the main compartment. Then plug your phone in using its own cord on the outside. You can charge it up while still having access to it to make calls or texts, check your email, or play a game while you wait for your plane to board. But this wouldn’t be an anti theft travel bag without a few security features. The zipper for the main compartment is hidden near the back of the bag, right over the straps. Thieves won’t be able to spot it, so will have to take their sticky fingers elsewhere. There is also a hidden smaller pocket on the back of one side for small items you may want easy access to. Also in the main compartment are a padded laptop sleeve for a slim laptop with a max of 15.6 inches, a few small pockets, and some pen holders. You can adjust the opening to 30 or 90 degrees using the Velcro and snap combo. A couple of side pockets give you space for water or snacks you won’t be worried about losing on the road. Though they may look similar, there are many ways in which the best anti theft backpack differs from regular, everyday backpacks. These types of security gear may have slash proof materials embedded in some or all of the body to deter slash-and-run thieves. The straps may also have some sort of slash proofing as well, for the same reason. Unlike regular models, the best anti theft bags also have puncture resistant zippers to keep anyone from prying their way through and into your gear. Lockable zippers are also a possibility to deter pickpockets. Their zippers may even be hidden for extra security. For hackers trying to steal your personal information, many anti theft backpacks also have RFID blockers. And some bags have included secret pockets on the outside of these bags for those items you want close but invisible to anyone else. You won’t find these features on an everyday bag. There are many reasons to carry an anti theft backpack. They offer you the security you want when traveling with expensive gear, like laptops, tablets, and even your smartphone. Many of them also have RFID blocking technology to keep your sensitive information safe from hackers who want to steal your identity. But the best anti theft backpack will also have a decent design that will keep up with your style. There are multiple storage options for anything you need, from extra clothing, cameras, and books for school or entertainment. But along with these designs are the padding to keep your gear safe from bumps as well as thieves. 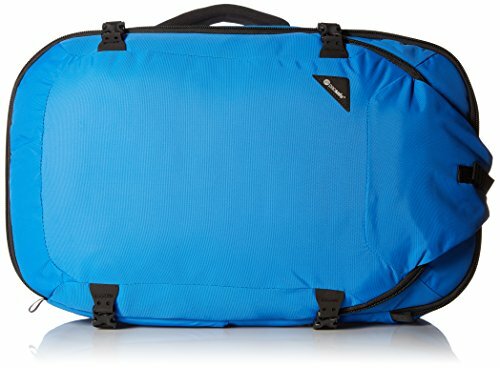 If you’re doing some outdoor traveling, or just running from the car to your hotel, there even some anti theft travel bags that are waterproof, or at least water resistant. These functional bags come in so many shapes and sizes, you will always find a use for them. There are multiple situations when having the best anti theft backpack on your shoulder will come in handy. They are great for air travel since you can use them as a carry on bag. The lockable features also make them useful when you want to check it, to ensure everything you put in it is still there when you grab it off the baggage carousel. Traveling in an unfamiliar city is also a great time to have a secure backpack. 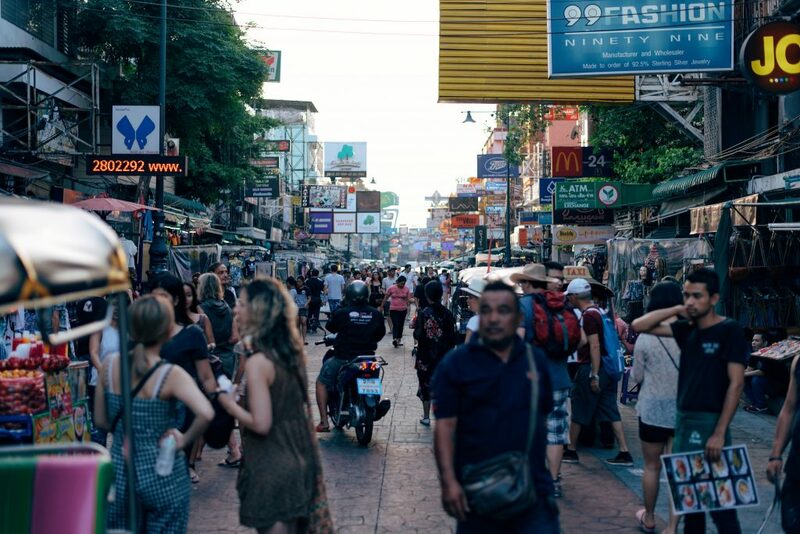 Many large cities have problems with pickpockets and quick-handed thieves who want to cut your bag open, grab the items that fall out, and then disappear in the crowd. They prey on tourists quite often since these people will be distracted checking out the sights. The more secure your bag is, the less likely these sticky-fingered individuals will walk away with your belongings in their pockets or under their arm. You can also use a theft proof bag for school or work. If you travel on a bus or subway, these bags will deter thieves. And they will keep your belongings safe in a locker or on the back of your seat when you’re mind is on your studies or a project with a looming deadline. Though some brands of anti theft bags can be a bit expensive, replacing your pricey electronics can cost a whole lot more. This can be even more costly if hackers get a hold of your personal information by scanning your cards when you walk by. This could cost you everything in your bank account, and depending on what info they get, possibly your identity as well. When you consider these factors, the price tag hanging from the best anti theft backpack on the shelf may not seem so high. Plus, there are many styles to choose from when it comes to theft proof bags. As well as backpacks, there are anti theft laptop bags, anti theft purses, anti theft sling bags, and even anti theft wallets available. So no matter how much gear you need to carry, you’ll have no trouble finding the right bag to meet your needs. There are multiple types of anti theft bags available to meet every need you may have. There are some with sleeker looks, with multiple compartments for laptops, files, pens, and business cards, making them exceptional choices for business use. These ones are also great for college or high school kids who need to carry similar items to class or to the library. 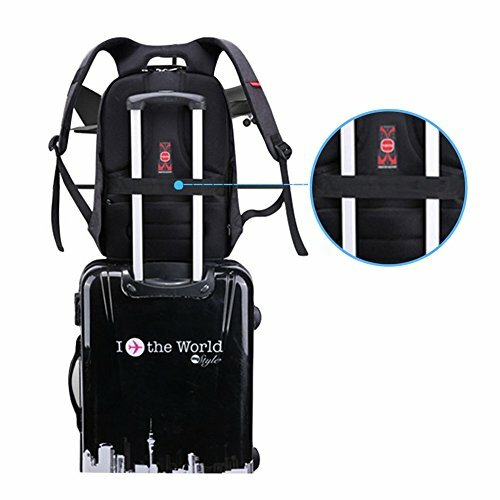 There are also travel and daypacks with anti theft designs. They give you the room to store a change of clothing, tablets, e-readers, magazines, and water bottles. For touring a new city or spending an afternoon hiking in the woods, these ones are perfect for keeping everything you need close at hand. There are also crossbody and sling bags that give you the security you need. These are better for shorter trips, to keep your wallet and other smaller gear safe while shopping or taking a short day trip. You can even find secure camera bags to hold everything an avid photographer may need to capture the perfect shot. When it comes to security features, the best anti theft backpacks will have a variety to keep your belongings as safe as possible. The first one you should look for is slash proof material. This could be a thicker layer of board or padding, or even steel mesh embedded in the most vulnerable areas of the backpack. Lockable zippers is also a necessity. It’s quite easy for an experienced thief to pull a zipper open while you walk, or rummage through your bag when you’re distracted. Locking zippers will prevent this. It’s also a good idea to find puncture resistant zippers as well. This will stop someone from prying it open with a sharp object. Locking straps are also handy. If you want to sit down at a restaurant or take a break on a bench, you can wrap the strap around a pole or chair back, then lock it in place so no one can grab it and run. Many of the best anti theft backpacks and bags also have slash proof straps as well, for extra security. Hidden pockets are handy to store your phone or other items you want close at hand but invisible to others. RFID blocking card holders or pockets are also a must. Anyone with the knowledge and equipment can scan your credit cards, room keys, or passport as you walk by, stealing your information. A RFID blocker will prevent this, keeping your info safe. Despite their functionality, there are multiple brands that have made their theft proof backpacks stylish as well. They have sleek designs that will match whatever style you prefer. If you need a bag for business or travel, you’ll have no problem finding one you like with so many different bags available. Of course, if you plan on using your bag in more rugged conditions, you may not be as worried about having a stylish bag, but you’ll still want to have one you’re happy carrying around, even in the woods. There are more durable ones available as well that still look great and meet all your needs. 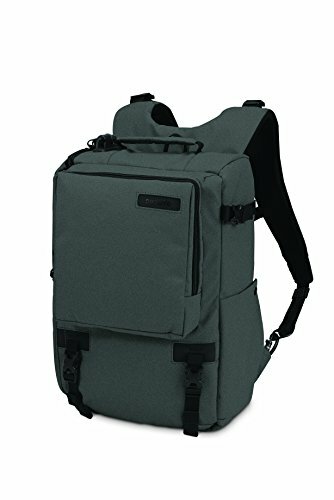 As well as the shape and size of the backpack, there are also a few colors to choose from in most of the best anti theft backpack models available. If you’re traveling all day long, or even for a few hours, you don’t want to carry a huge, heavy pack around with you. But you still need one that is big enough to hold all the gear you’ll need during that time. Thankfully, there are numerous bags with a variety of capacities to choose from. These can range from only a few Liters to almost 50. 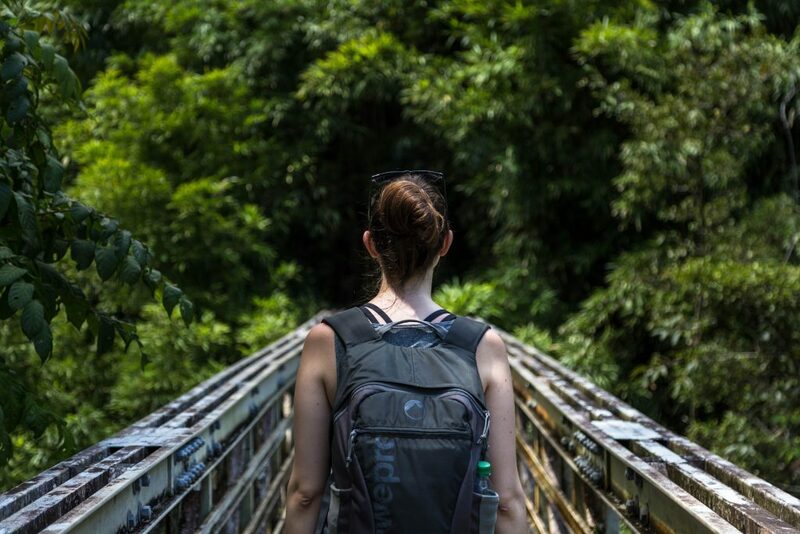 If you are only packing your wallet, a travel guide, and a few other small items while you check out a few tourist hot spots, a smaller backpack or sling bag will do. But if you plan on using the best anti theft backpack you can find as a carry on or for a weekend trip, a larger size is best. These can hold laptops, cameras, all your necessary identification, and a change of clothes to top it off. Since even the larger theft proof bags are usually only a few pounds each, this shouldn’t be too much of a strain during your travels, as long as you don’t overpack it. 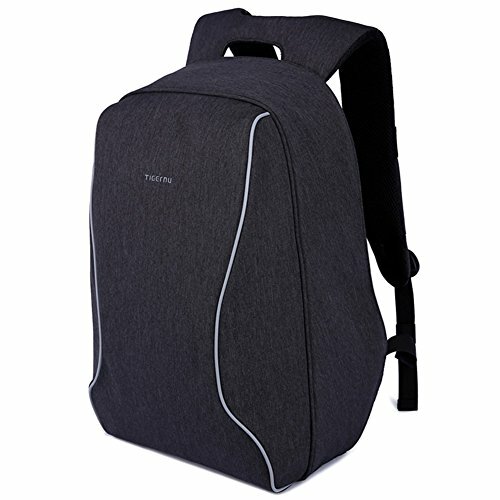 There are a few features to look for to ensure you have the best anti theft backpack in terms of comfort. The first is the way the bag itself hangs from your shoulders. If it distributes the weight evenly, it will put less of a strain on your back. But if it is top heavy, it will lean backward, pulling your shoulders back as well. You’ll be in pain in no time with a bag like this, so try it on if you can before you buy it. Another thing to look for is padded straps. These won’t dig into your shoulders while you walk, allowing you to carry your load that much longer. Some anti theft backpacks also have sternum and waist straps. These will help hold your bag firmly against you for less strain on your body. Something else that can add to your comfort level is breathability. The more the bag breathes, the less moisture will collect on it and you. This will keep you cool and dry during your travels. A backpack can have a dozen pockets, but if they are hard to access, they are useless to you. That’s why it is important that the security features of the bag hinder thieves, but don’t keep you out as well. This includes the locking zippers and straps. If you have to struggle to unlock them, your bag isn’t going to be very useful. And when you do get them open, you may consider not locking them again, which leaves your belongings at risk. The hidden pockets should also be easy for you to get into. Slim fingers can usually slide into any pocket size, but if your digits are a little bigger, you shouldn’t have to ask one of your children or a stranger to pull your cash or cards out of a tight pocket. The best anti theft backpack will always make it easy for you to get inside while deterring everyone else. Big open pockets can give you plenty of space, but they are almost impossible to organize. Having specific pockets for individual items makes it much easier to pack and then find things later on when you need them. That’s why the best anti theft backpack brands have included pockets and compartments designed for specific items. Padded compartments or sleeves for laptops are quite common since these sensitive devices need all the protection they can get. Many bags also include smaller sleeves for tablets or e-readers, to keep their screens safe and scratch-free. Pockets big enough to hold even the largest smartphones are also common, and many bags have more than one to accommodate other music players as well. Card slots protected with RFID blockers are also found in the top anti theft travel bags. Spots for pens and notepads are handy for taking notes or writing down directions when needed. Having a few less secure pockets may seem strange, but for items you want easy access to, like a water bottle, they are quite handy. Some of these are mesh or expandable for multi-purpose use, making them even more convenient. Though slash proof fabric is handy against knife-wielding thieves, it won’t keep a cheaply made bag intact throughout your trip. 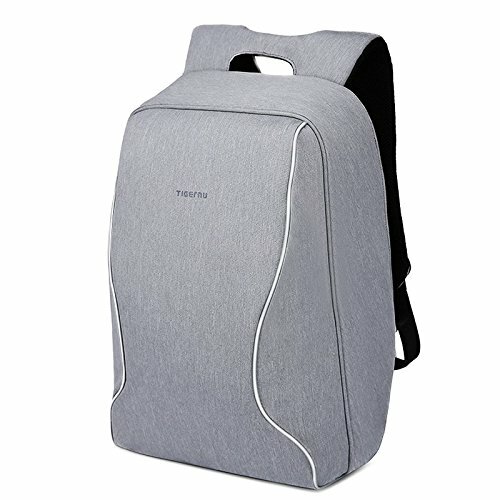 To have the best anti theft backpack, there needs to be a bit more in the way of construction to prevent it from being damaged from even light use. The first thing to look for is the material. Your bag should be made of quality materials, like nylon or polyester. These are both durable and strong for long-term use. If you can find one with ripstop fabric, this is even better. If a tear does occur, the ripstop will keep it from spreading. You should also check the stitching on all areas of the bag. Loose threads could unravel the whole seam over time. Double stitching is best, especially in the areas where your gear may cause some strain. Reinforced straps are important as well, to ensure your bag won’t fall right off your shoulders while you’re walking down a busy street or trying to catch a flight. You may sport a lot of bright colors in your wardrobe, but this isn’t always the best idea when it comes to your anti theft backpack. Bright yellows, pinks, and blues may look sunny and fresh in the store. On the street, however, they draw the eye of everyone around you, especially those unsavory individuals who are looking for an easy target. Darker colors blend better, even in the daytime. They don’t draw attention, so you won’t be broadcasting the valuables you might be carrying to the world around you. 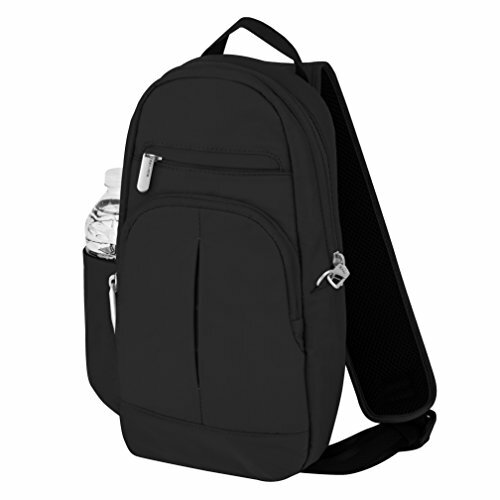 Many of the best anti theft backpack models come in black, dark grey, dark blue, or even plum. These discreet colors also look good on your back, so you won’t feel like you’re carrying an ugly bag, even if you’d prefer something brighter. There are a few other features you can look for in an anti theft backpack, though it won’t be the end of the world if you don’t find them. They are all handy, but not life, or stuff, saving. Water resistance or proofing is a good idea. Even if you aren’t spending too much time outside, you may get caught in the rain once in a while. Or you may have a clumsy moment and dump your coffee onto your bag. If it repels the water, the stuff you’re carrying inside it will be protected and damage-free. Some theft proof backpacks also come with built-in rain covers. These are better for those who plan to use their bag for hiking or other outdoor activities. If you spend a lot of time on your phone, having a USB port in your bag may be especially useful. Though you’ll also have to supply a power bank, there is usually an internal cord to plug it into. Then you can plug your phone’s cord into the port on the outside of the bag. You can charge your phone on the go with almost no hassle. Anti theft bags can cost anywhere from $50.00 to almost $300.00. They come with a variety of features, but you don’t have to spend more than you feel comfortable with to find a bag that meets your needs. Of course, the lowest priced bags will most likely lack a few of the features the higher cost ones will have in abundance. The safety features, like slash proof material and double zippers cost more to make than regular ones. To get the best anti theft backpack around, you’ll need to open those purse strings a bit in order to get the highest amount of security. But if $300.00 is beyond your budget, find yourself a bag somewhere in the middle. These ones will have decent safety and regular features that may still give you what you want in an anti theft backpack. 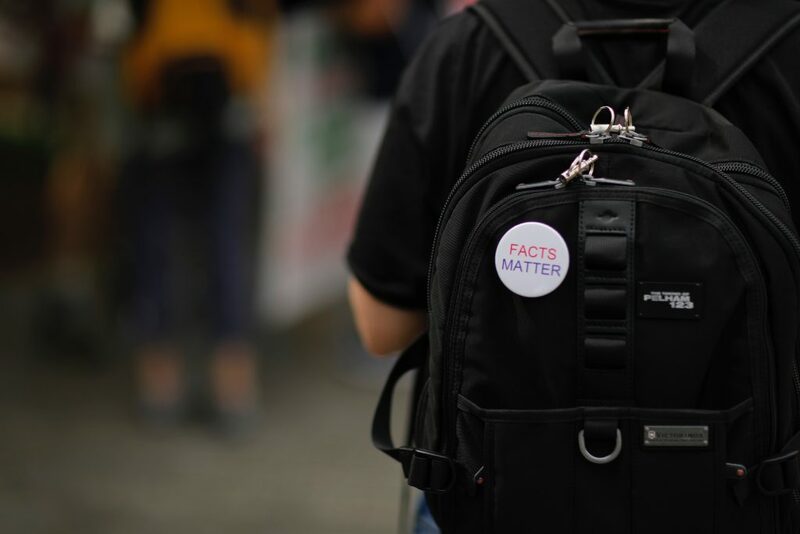 Having the best anti theft backpack at your disposal can help you focus more on your surroundings and less time scanning the faces around you for possible thieves. You can relax, knowing your gear is safe, and that it will still be there when your trip is over. Plus, they look good and are as functional as any other backpack on the market. If you are on a budget, but still want the extra security an anti theft bag gives you, the Uoobag Anti-Theft Travel Laptop Backpack is the cheapest one on our list. But despite its low price, it still has ample security features that will protect your stuff. For those who prefer to spend their time traveling outdoors, the Pacsafe Venturesafe X30 Anti-Theft Adventure Backpack has multiple security features to protect you from thieves but also adds some to keep your stuff safe from wet weather. The built-in rain cover is especially useful if you get caught in an unexpected storm. When it comes to versatility, the Travelon Anti-Theft Classic Lite Sling gives you multiple carry options. It may not have the capacity of a larger model, but for those touring a foreign city in the afternoon, it still lets you carry anything you may need without making it easy for a pickpocket to sneak it out of your bag. You can also read our guides to the travel rain jackets, the best merino wool t-shirts for travel and other recommended travel products here.